IPKO Foundation is closing this year with a great 365-day period, each day filled with an enthusiastic team working tirelessly, many fruitful and successful projects, and lots of laughter. Everything good happens if one seeks for the good and, of course, if one works really hard towards attaining goals. People who have worked all year long to realize all of these great projects are looking back in this year just to see how far they have come, and to get inspired for the new year to come. 2014 was the year of 78 new articles that represent Kosovo’s history, culture, heritage, demography, and economy in Wikipedia through Wiki Academy II – City Marathon; it was the year of 1,450 added pictures in Wikimedia Commons, which represent Kosovo’s beautiful nature and tradition; it was the year that brought 37 inspiring editions of BarCamps and BarCamps in Your City; the year in which two mobile applications for BarCamp and Digital Kosovo were launched; it was the year in which the total number of emails reached 5,561 sent through Digital Kosovo by 4,421 verified digital diplomats which resulted in a total of 76 recognitions from important websites; the year in which 21 competent individuals were given scholarships in an overall amount of 21,000 Euros in order to further advance their education; and finally, it was the year of DOKU:TECH, the biggest tech conference in Kosovo. 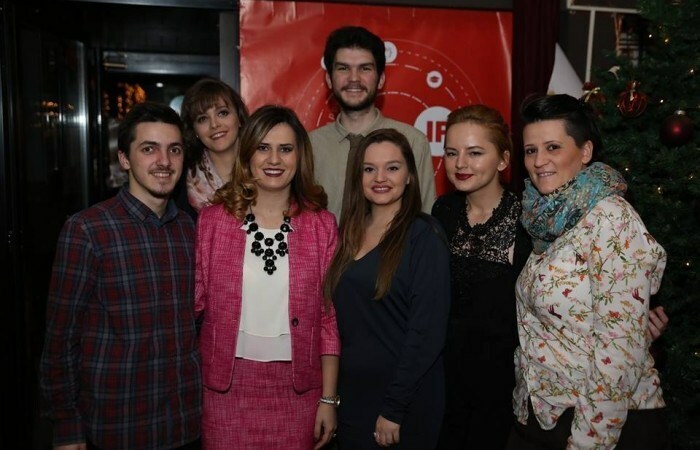 To conclude the year, thanks to the continuous and fruitful work of the IF team and the community behind the projects organized, IPKO Foundation was honored to receive FIDES Awards 2014 for Philanthropic Contribution on the National Level. IF wishes you a delightful time during the upcoming holidays and hopes that the new year will bring as many innovative events as possible, places where youngsters and tech lovers can gather and spread their passion for tech and innovation.